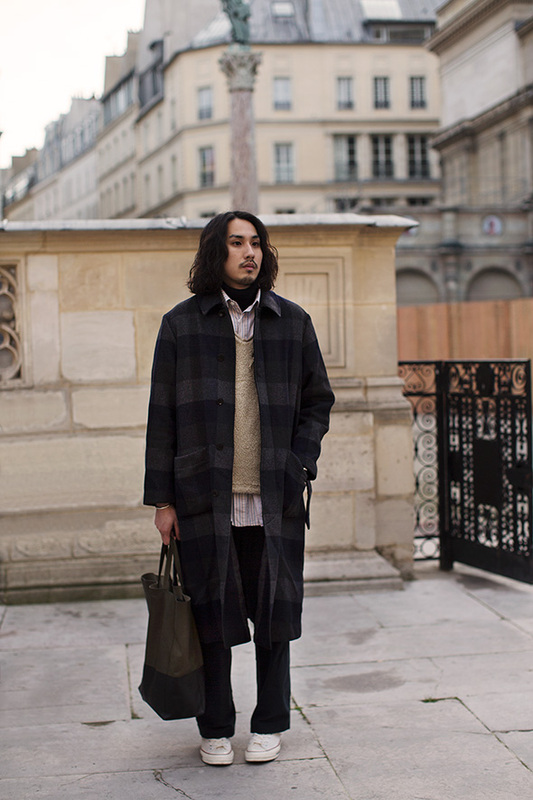 First glimpse…a young kenzo takada! 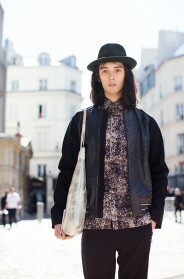 That’s the way you dress for a totally comfortable day of sightseeing in beautiful Paris. He’s comfortably layered, shod properly, and equipped with a quiet-yet-stylish tote, for all the treasures to be collected. I would wear everything he has on. In fact, I intend to duplicate everything he has on … meet me in Paris next week for lunch. Baguettes on me! I never understand people who think Chuck Taylors are comfortable. So it always bugs me to see them on someone’s feet. But other than that, this outfit is exactly what I love. I’ll prob swap the Chucks for my Stan Smith’s or Sperrys. The Chucks are just a tad narrow for my feet. Still, I like the look. 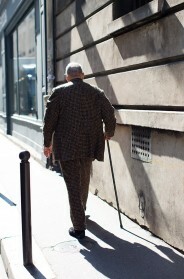 Possible new trend in Paris? Spontaneous layering? This is looking pretty cool. This is the way to layer. Stylish, relaxed, with enough differences that you have new outfits every time you strip off a layer. A great look which could be improved by tucking in the shirt.